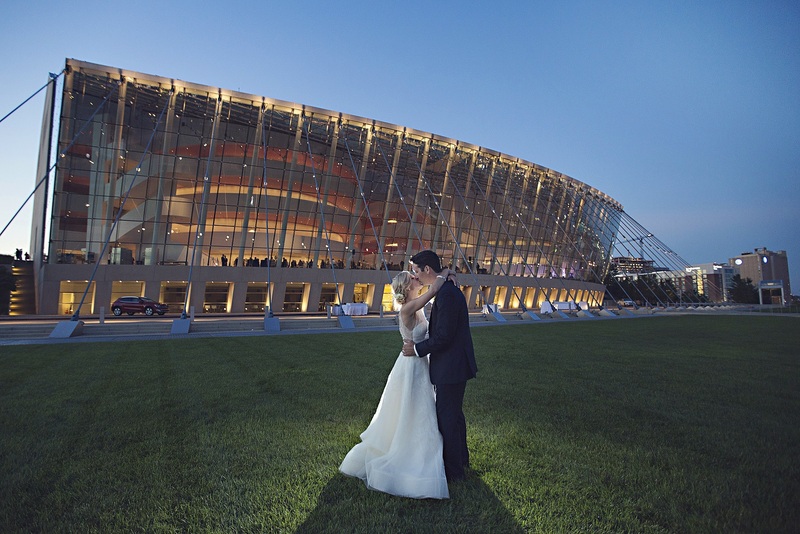 The Kauffman Center for the Performing Arts features two separate performance halls, a glass atrium lobby with a panoramic view of Kansas City, and seven other unique spaces that are all ideal for making a private event memorable. 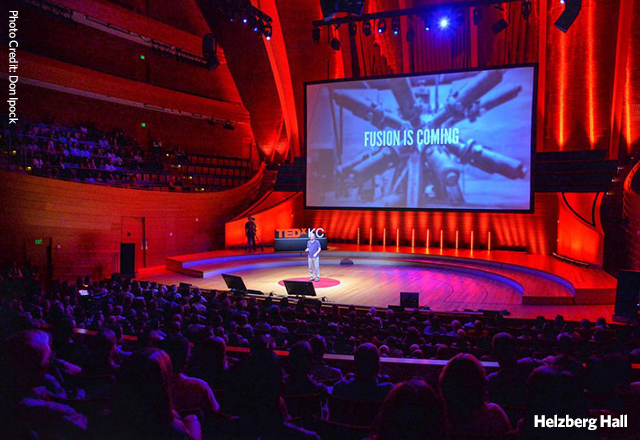 The events team will help you achieve your vision and transform these spaces for any group from 2 to 1,800 in a way that will amaze your guests and work within your budget. 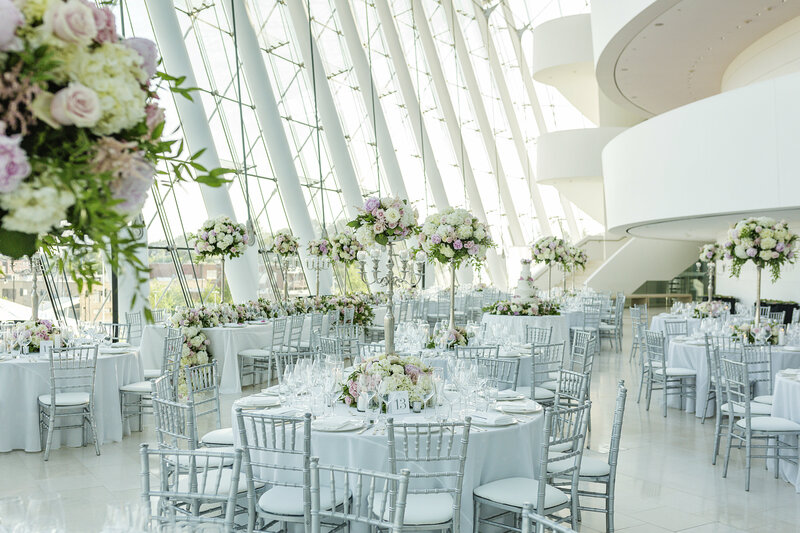 The Kauffman Center grand lobby space features a four-level curtain wall of glass so your guests can enjoy a stunning view of the Kansas City skyline. 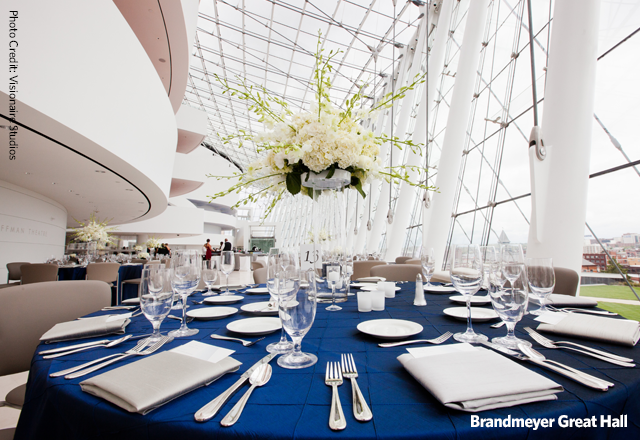 This grand space accommodates up to 450 seated guests or up to 1,000 guests for a reception-style event. 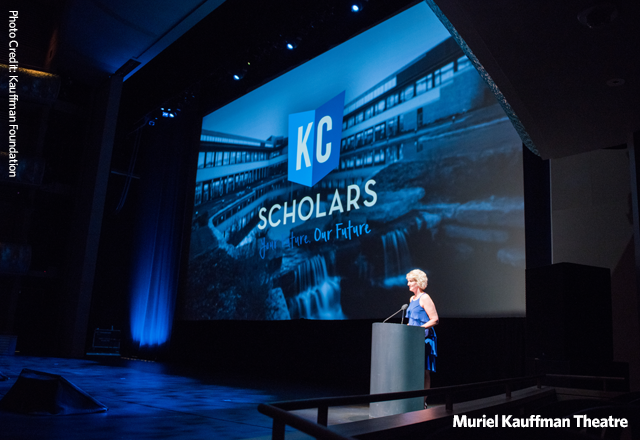 The 1,800-seat Muriel Kauffman Theatre was inspired by the great opera houses of Europe. 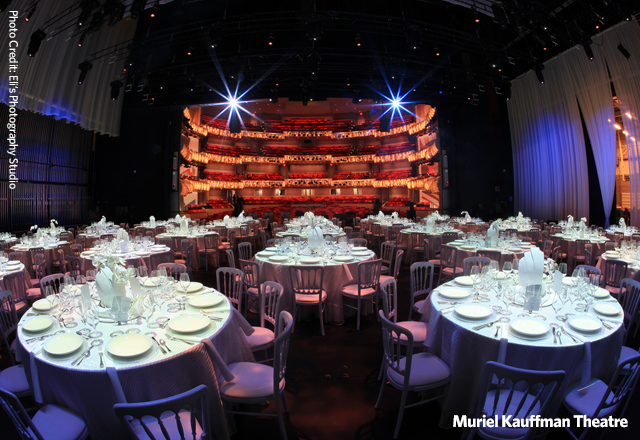 Illuminated balconies encircle the theatre and cast a stunning glow on the stage below. 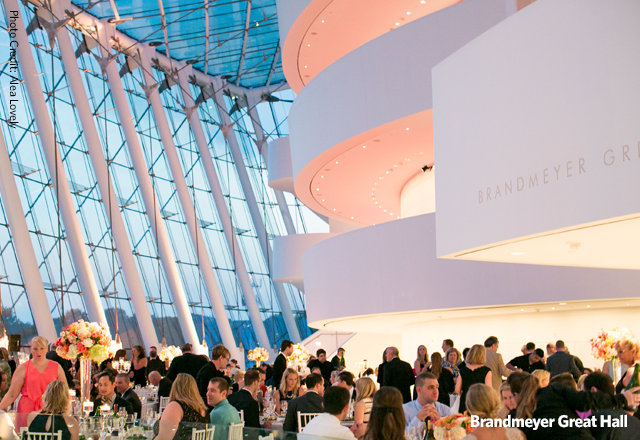 The vast 5,000-square-foot stage is a grand setting for dinner, with seating for up to 300 guests. Our 40-by-22-foot presentation screen is also accessible so the theatre is perfect for meetings and large presentations. 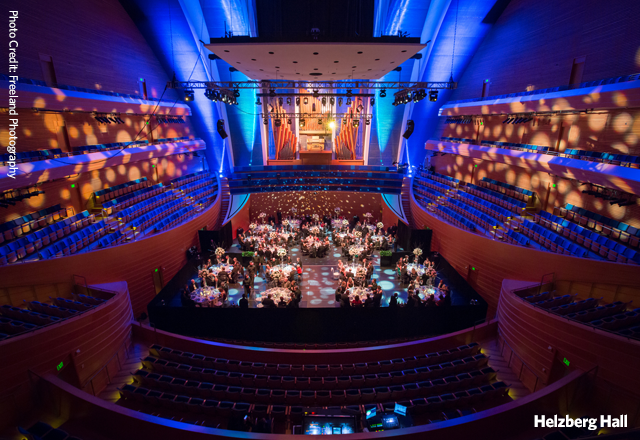 The 1,600-seat Helzberg Hall features the custom-designed Julia Irene Kauffman Casavant Organ as the visual centerpiece. It’s a unique and ideal setting for meetings, presentations, or intimate on-stage dinners and receptions for up to 100 seated guests. 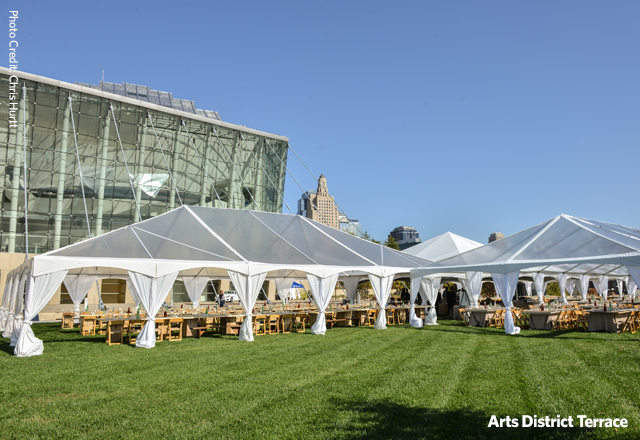 Located on the lawn outside the majestic glass lobby, the outdoor terrace can accommodate large groups of varying guest counts and offers a spectacular view of the city. 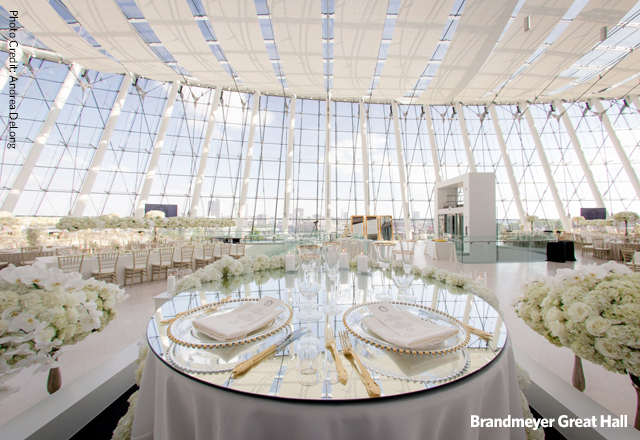 Located under the glass curtain wall, all three upper floor balconies provide a picturesque setting for up to 100 seated guests and up to 200 guests for a reception-style event. Each balcony is a beautiful and unique space for anything from an intimate dinner for two to a large cocktail reception. 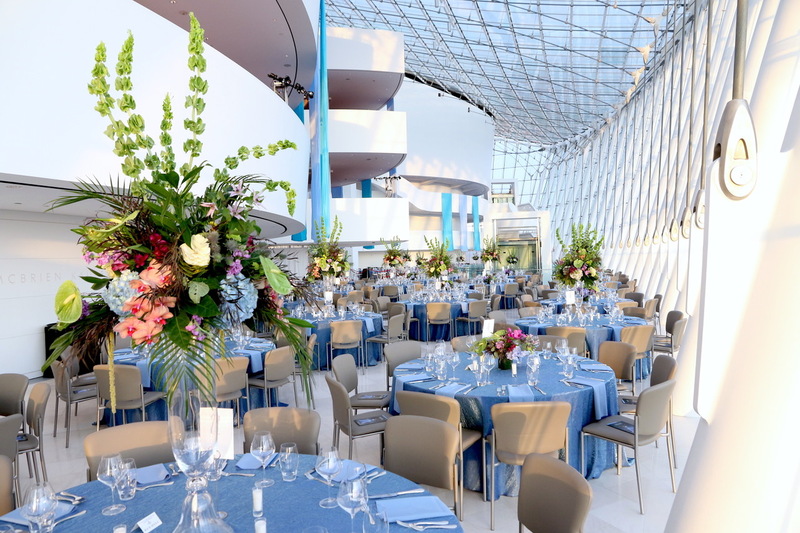 Prior to a performance, all Kauffman Center guests can enjoy a hand-crafted specialty cocktail or exquisite yet casual freshly prepared cuisine at the Kauffman Center Dining Experience. This intimate space is also available for private dinners, meetings or cocktail receptions for up to 80 seated guests and 125 guests for a reception-style event. The Ewing & Muriel Kauffman Reception Suite and the Sprint Reception Suite are more intimate spaces, each allowing easy access to both performance halls and well-suited for cocktail receptions and meetings. Both spaces can accommodate up to 30 seated guests and up to 60 guests for a reception-style event.